People have been using face masks as part of their skin care regimen for millennia. Cleopatra was said to have used clay, dead sea mud and egg whites as facial masks in ancient Egypt, and other cultures followed with natural facial and skin care practices. Regardless of the ingredients used, all recognized the importance of caring for the skin. Oily skin is more prone to breakouts and acne than dry skin, and a mask that unclogs the pores and removes trapped oil and dirt is best. Clay masks work well to draw out the oil, but they should only be worn for 15 minutes and no more than three times a week. They’re more effective if you don’t let them dry completely. Look for face masks that feature hyaluronic acid or alpha hydroxy acid (AHA). If your skin is already sensitive or dry, you need to watch out for facial masks that could stress your skin. A hydrating mask is best and should include hyaluronic acid and ceramides. It might also have aloe, olive oil and/or witch hazel oil for extra moisture. One that has oatmeal may help to de-stress sensitive skin. Applying a face mask more than once a week can dry out your skin even more. Mature skin begins to lose elasticity and can look dull. A facial mask that hydrates and evens skin tone is helpful. Look for masks that feature antioxidants to fight free radicals and collagen to improve elasticity. Shea butter and argan oil can add moisture and help diminish fine lines. Niacinimide is an important anti-aging ingredient and is made up of vitamin B3 (niacin) and amino acids. An exfoliating mask that includes AHA can help remove dead skin cells that make skin look dull. If you use an anti-aging mask, apply it no more than twice a week. Skin tends to be dryer in the winter than in the summer. When it’s cold outside, your cheeks can become red and chapped, and they need more attention. You can safely use a moisturizing mask several times a week in the winter. On the other hand, your skin may need more oil control in the heat of summer. If you have acne, symptoms may become more apparent. A mask that cleanses and refreshes – one with clay or perhaps seaweed – may help. In the summer, you probably will want to use a facial mask only once a week. Using face masks consistently can help remove impurities, dirt, dead skin cells, makeup and excess oil buildup, and generally improve your skin tone. Use a mild exfoliating product to remove dead skin cells. Steam your face to open the pores and help the mask adhere better. If you can, apply a thin layer of the mask with a brush; less is more when it comes to face masks. Put a slice of cucumber over your eyelids to reduce puffiness, sit back and relax. Just make sure you gently and thoroughly rinse off all traces of the mask and leave it on only as long as recommended. Once you’ve completed your training, you’ll understand skin structure and the treatments needed to help people’s skin look their best. Choose the basic 300-hour skin care program to learn the fundamentals of facials, waxing, body wrapping and makeup, or follow a more advanced curriculum for additional training and certification. According to the Bureau of Labor Statistics, employment of skin care specialists is expected to grow 14 percent from 2016 to 2026, which is faster than average for all occupations. 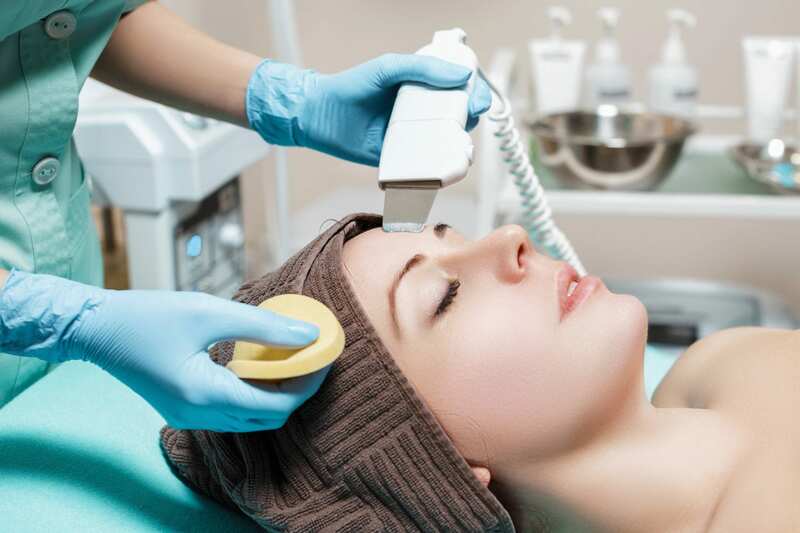 Florida has the fourth-highest employment level of skin specialists in the United States. If you are interested in an in-demand career as a skin care specialist, contact Florida Academy today.